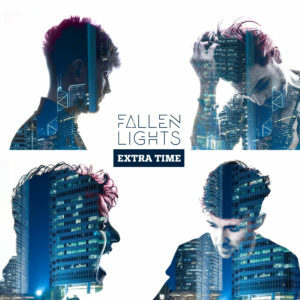 After a fantastic 2018, Fallen Lights are ready to throw themselves head first into 2019 with the release of their brightest and best single to date, “Extra Time”! Last year saw the band come out with two singles “It’s too Late” and “Last Train Home” both receiving 14 million impressions on radio, numerous live shows including the Olympia, a supporting gig in the 3Arena and finishing off the year on a massive high with their first appearance on RTE’s Late Late Show. The band spent most of 2018 in the writing room and recording studio, defining their sound and working tirelessly to perfect their high energy and memorable live shows. The latest single, Extra Time, was produced by London based producer Eliot James (Two Door Cinema Club, Bloc Party, The Coronas). The single is the first of three singles planned for release during 2019 with the band’s debut album due to be released in October of this year. ‘Extra Time’ will be available to download everywhere on Friday 8th February!